Jump-start your day with God's wonderful Word! As you spend a couple of minutes each day with these Grace Moments devotions, you will see more and more that God's mercies are new every morning and that in his Word you will find enocuragement, wisdom, forgiveness, reassurance, insights, and strength. These devotions will encourage you to believe in the incredible value of reading and hearing the Bible and of unpacking the treasures that God has stored there for you. 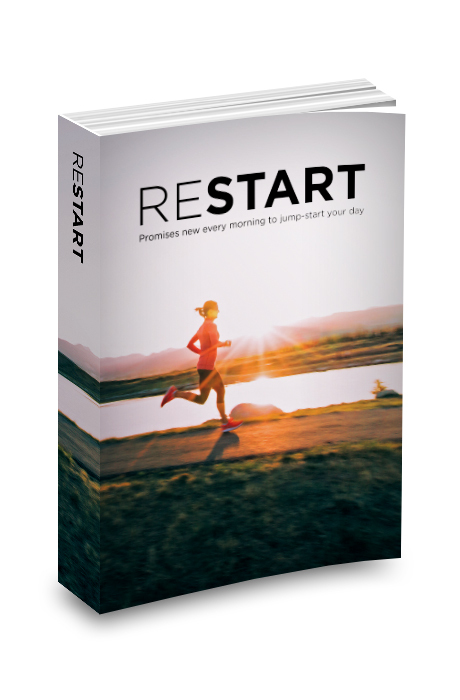 Paperback, 392 pages, 5.5" X 8.5"
Successfully added RESTART: Promises new every morning to jump-start your day to your cart.